Any type of healthcare should have a holistic approach. There are a few medical conditions that would inevitably call for a surgery but fortunately, an increasingly more number of health ailments can be treated with nonsurgical healthcare. Surgeries have various benefits for certain medical conditions and also run a lot of risks in most cases but what most people do not prefer is an invasive surgery. Today, there are many types of nonsurgical and noninvasive healthcare practices which can offer you treatments in the most holistic manner. Chiropractic health care deals in pain management and curing patients of a plethora of medical conditions using massage therapy and a series of noninvasive treatments. Massage therapy has always been known as a great pain management technique however not all health problems can be addressed by a generic massage therapy. With chiropractic treatments, there are various kinds of medical massage therapy that are used to not only offer pain management but to actually cure the problem which persists in a patient’s body. Some of the popularly known health ailments that can be treated by medical massage therapy include neck pain, shoulder pain, back pain, lower back pain, herniated disc, sciatica, fibromyalgia, pinched nerve in the back, carpal tunnel syndrome and a wide array of joint aches and tissue inflammation. 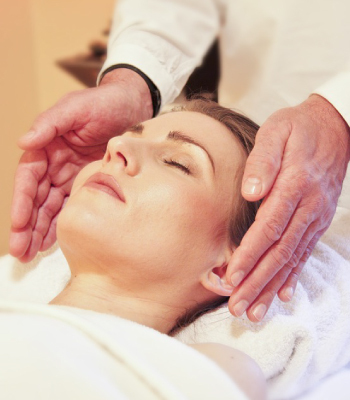 Massage therapy is the most well known and commonly sought after treatment when it comes to holistic healthcare. Massage therapy addresses neural, muscular and skeletal problems of a human body. Medicines, surgeries or any other form of treatment would only look at either pain management or the core problem, general medical practices do not consider a holistic approach while providing healthcare. Medical massage therapy employs various treatments including acupuncture, spinal manipulation, mild exercises under supervision, posture counseling, amendments to lifestyle for a healthier and fitter body and also ultrasound or hydro therapies. None of the massage therapy or pain management therapy employs any types of medications, surgery or any invasive treatment. By far and wide, medical massage treatments are the most holistic healthcare solutions available today. Some of the most common problems such as a headache to a seemingly daunting medical condition such as a protruding disc in the spine can be conveniently treated using medical massage therapy. A session or two at the beginning would offer you the pain management and eventual relief from pain permanently while the next few sessions would address the problem and get it cured.